After a night of heavy drinking, googling “How long do hangovers last?” and regretting not drinking more water may be your go-to activities. After all, there’s no real cure for a hangover once it’s set in, is there? Though time may be the only thing that will make you feel completely human again, there are actually some foods that have been proven to help with a hangover. Here are my top ten, guaranteed to help after a night out with friends. 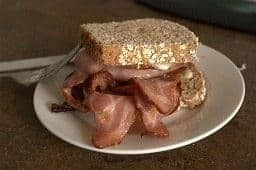 A bacon sandwich can cure a hangover by boosting the body's level of amines. Researchers claim bacon speeds up the metabolism, urging the body to eliminate the alcohol faster. Elin Roberts (Newcastle University's Centre for Life) said: "Food doesn't soak up the alcohol, but it does increase your metabolism, helping you deal with the after-effects of over-indulgence. So food will often help you feel better. Bread is high in carbohydrates and bacon is full of protein, which breaks down into amino acids. Your body needs these amino acids, so eating them will make you feel good." Professors also researched a complicated chemical interaction in the cooking of bacon, producing a combination of taste and smell which is irresistible. Avocados aren’t just one of the most delicious (and versatile) foods on the planet, they’re also very ﻿﻿high in potassium﻿﻿, which has been shown to help﻿﻿ ease a hangover. How does that work? Alcohol is a diuretic, meaning you lose a lot of potassium over a night of drinking. Eating foods high in potassium rebuild your stores of electrolytes, helping you feel more energetic and less physically weak. To ﻿﻿prevent ﻿﻿upsetting your stomach, skip spicy guacamole and enjoy some mashed avocado on bland toast or crackers. Other foods that are high in potassium are bananas, prunes and cantaloupe, so if you’re a fruit salad fan, you’re definitely in luck. One thing your body needs after indulging a bit too much is an increase in sodium. Pickle juice may be your best friend in this case. Sure, it’s no one’s favorite beverage, but drinking the briny liquid could make all the difference in the world. Why? 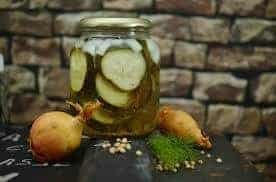 The salt and vinegar in pickle juice not only replenishes lost electrolytes, but encourages your body to start hanging on to every bit of water it has. This means you rehydrate much more quickly and can start feeling like yourself again sooner! Russians have been swearing by this hangover remedy for generations, but the added bonus of scientific fact﻿﻿ is more reassuring. You could also replicate the active ingredients by stirring some salt into vinegar and drinking it before going to bed, but somehow that seems even more disgusting than drinking straight pickle juice. Whether you prefer your eggs hard-boiled, poached, or scrambled to light and fluffy perfection, a breakfast ﻿﻿of plain eggs could be the best thing on your menu. Add a dash of salt, but go easy on the condiments. Ketchup, hot sauce and the like could upset your stomach. Why are eggs one of the best hangover foods? They contain protein, which is great for providing an energy boost, but also have high amounts of cysteine. Cysteine helps your liver function, making its job of breaking down alcohol toxins easier and faster. Not a perfect cure, but it will make your hangover go away more quickly. 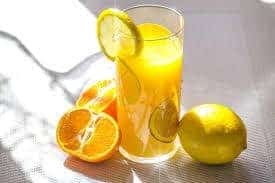 Fruit ﻿﻿juice not only provides a great source of energy in the morning, but also has a ton of vitamins that your body needs when fighting a hangover. 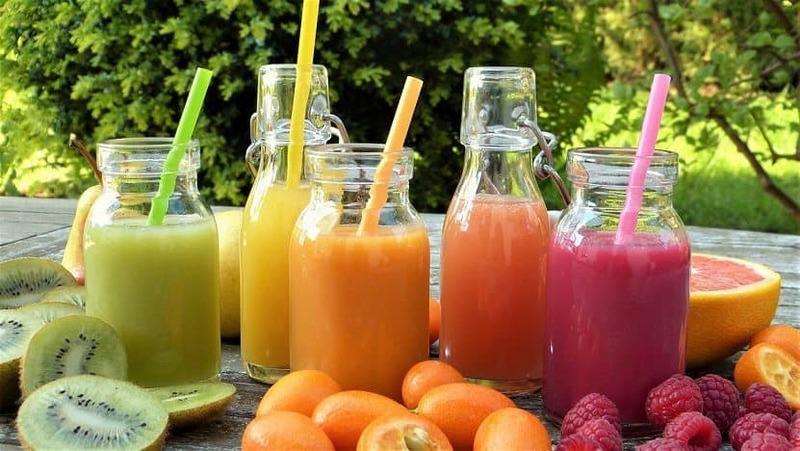 Make sure what you’re drinking is 100% fruit juice to get the best benefit. Avoid juice that’s packed with extra sugar as this will actually make your hangover symptoms even worse. While juice is high in sugar, fructose can actually be quite beneficial. Pure cranberry or apple juice might be the best thing you put in your body, as they help to flush out all the toxins left from a night of drinking and will help your body heal. It might seem like an odd choice for breakfast unless you’re enjoying a bagel with lox, but salmon ﻿﻿contains several vitamins and healthy fats that help fight hangover symptoms, making it a really good hangover food. It’s also just plain delicious and a healthy choice at any time. 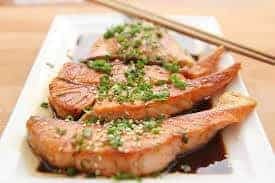 The healthy fats contained in salmon help to soak up all the leftover alcohol toxins, while the high levels of B-12 vitamins and amino acids aid your liver in breaking down and ridding your body of those very same toxins. You could just take a B-﻿﻿complex ﻿﻿vitamin, but they just don’t taste as good as a grilled filet of salmon. As with other hangover foods, skip the heavy seasoning and heavy bagel in favor of something light and bland – your stomach will thank you! Broccoli is one of the best things you can eat after a big night out. 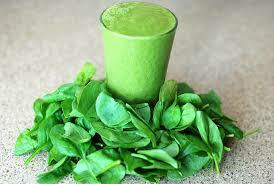 It has vitamins that can help with just about all the different symptoms associated with a bad hangover. You can run your broccoli through a juicer, steam it to perfection or even eat it raw, the benefits will stay the same. The thing about broccoli is that it combines the benefits of several other foods on this list to combat different aspects of your hangover. Much like salmon, broccoli is high in B-vitamins, helping to replace the ones you flushed out last night and helping your liver do its job. It also contains ﻿﻿cysteine﻿﻿, the amino acid that breaks down alcohol toxins faster. Coconut water has been lauded as a super drink by hipsters and hippies alike, but did you know that there’s actually a grain of truth to their claims? It won’t cure your hangover entirely, but coconut ﻿﻿﻿﻿﻿water﻿ is one of the best hangover foods when it comes to replacing amino acids and clearing away that “foggy” feeling. Why is that? Coconut water is very high in potassium, as well as antioxidants. Your body loses a lot of antioxidants during a night of drinking, making your body not only feel terrible, but also less likely to heal quickly. 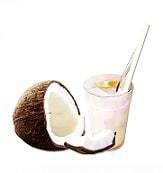 Sipping coconut juice throughout the morning will help your body heal faster and replace lost vitamins and amino acids. Plus, it tastes amazing and is incredibly hydrating! If your hangover has you feeling sick, weak and like you’ve put your body through more than it can handle, soup kind of sounds like an obvious choice. Not just for the common cold, soup is also a good hangover food! Just what kind of soup should you be eating? Avoid heavy, cream-based soups as these will be a bit too much for an upset stomach, as well as overly spicy or seasoned soups. Instead, stick to tomato, chicken noodle or even miso soups. 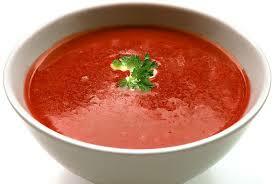 Tomato ﻿﻿soup is high in both sodium and potassium, meaning you’ll retain water and feel less lethargic or achy. The lycopene in tomatoes also acts as an anti-inflammatory, getting rid of that puffy, bloated feeling so common to hangovers. Miso soup may seem like an odd choice, but the fermentation process of the ﻿miso means that it contains a lot of ﻿﻿healthy ﻿﻿enzymes and bacteria﻿ that help your digestion. Plus, because soup is mostly liquid, you’re rehydrating and keeping that water at the same time! If you just can’t force yourself to eat a big bowl of leafy greens first thing in the morning (let’s face it, salads just aren’t the most enticing food when you have a hangover), why not try a big glass of green smoothie? This recipe contains several of the foods on this list, including broccoli, banana and coconut water, meaning you get the healing powers of all of those foods. You also get increased B-vitamins from kale and spinach. For the most effective remedy, make your own smoothie. The bottled ones you find at the corner store contain a lot of added sugar, which will just make you feel worse. Adding chia seeds or Greek yogurt as suggested here will also give you a boost of digestion-aiding probiotics and healthy bacteria, which will also make your stomach feel better. The combined powers of antioxidants, healthy bacteria, potassium and B-vitamins make green smoothies not only healthy but one of the most effective hangover remedies available. One of the worst parts of a hangover is the upset stomach. 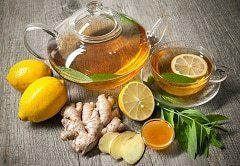 In addition to avoiding heavy or spicy foods, drinking ginger tea will not only help ease a troubled tummy, but will also help with the digestion of alcohol. You could just chew on some pieces of ginger root, but that’s a bit difficult for most people to handle. Instead, try boiling some sliced ginger in water for about ten minutes, then allowing it to steep for another ten. Add some honey for a bit of sweetness and healthy bacteria (this will also help digestion) and sip on it throughout the morning. Making your own ginger tea from fresh ginger is a lot more effective than store-bought tea bags, so having some fresh ginger on hand is always a good idea. One added bonus of ginger? If you find that you often have an excess of gas after a night out, ginger ﻿﻿tea helps get rid of flatulence. The best cure for a hangover will always be time and hydration, but these ten foods will ease your discomfort and help make your morning after way more bearable. Have you tried any of these hangover foods before? Did they help? Let us know what your tried and true hangover foods are in the comments, and don’t forget to share this list – next time your friends are wondering how long do hangovers last, they'll welcome the chance to ease their suffering.